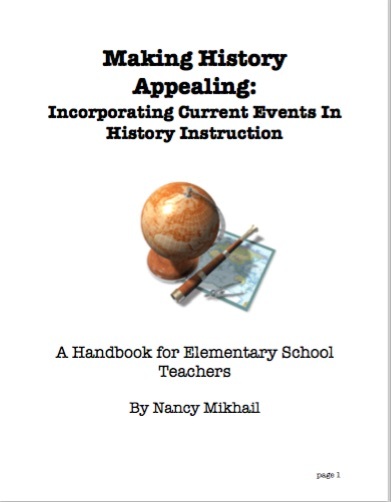 Make History Appealing to Your Students! The majority of students are disengaged when learning history because they do not connect with the material they are learning. Many students believe there is no reason for them to learn about what happened long ago. But what if students could connect to history and be engaged when learning history? This handbook will help you do just that. If students can see the connection between history and current events, it will prove to them that it is important to learn about the past. With hands-on strategies and teaching techniques to incorporate into your lessons, you will be able to learn how to connect history with current events.